WE DON’T MEAN TO BRAG, BUT WE WORK OUT. We flex our muscles. Go Power! has been in the business of solar technology for over 20 years—long enough that we get what you need and can help you find it. Our superior buying power means we choose high-quality components that give you more for your money: peace of mind that your system will stay working. Replacing equipment in a couple of years is not an option for you and it’s not an option for us, either. Durable, dependable, and cost effective is what we stand for. Let us take care of the details. The Go Power! brand is a trusted, recognized leader in mobile power for both recreational and industrial use with customers including Snap-On, Cummins, and Forest River. Unparalleled customer service tops our list of priorities. We target our efforts. It’s about more than just selling a product—we are committed to doing business in a way that focuses on people and the planet. Supporting the health, well-being, and education of our people and the people we serve is vital. We minimize the environmental impact of our operations; our products contain reduced packaging and come with end-of-life recycling information. Your fleet is unique. Solar is built for that. 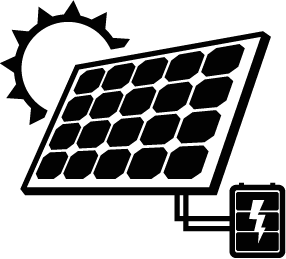 Our solar components can help your existing system stay fully charged, while our complete solar power packages can be customized for a variety of applications. But how does it all work? Get the lowdown on solar basics now.